Cabarrus County is organized by the County Manager form of government whereby a professional manager is accountable to elected officials. 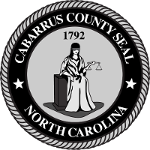 Cabarrus County is governed by a five–member Board of Commissioners, elected at large in countywide elections to serve four-year staggered terms. The Board’s primary duties include: adopting an annual budget; establishing the annual property tax rate; setting policies, goals and objectives to direct the County’s growth and development; adopting and providing for ordinances, rules and regulations as necessary for the general welfare of County citizens; entering into written contractual or legal obligations on behalf of the County; and carrying out other responsibilities as set forth by North Carolina General Statutes. The Board also makes appointments to a number of advisory boards and committees. The County Manager assists the Board of Commissioners in the pursuit of innovative economic, educational and quality-of-life initiatives; provides professional management of county government, ensuring the delivery of quality government services to a diverse and dynamic community; and provides sound policy proposals for their consideration and implements the policies they establish.